Chris was joined by councillors, local cyclists and walkers to try out the new cycleway at Saddle junction. This is one of the town’s busiest road junctions and now has a network of cycleways and crossing points, which are completely separated from six lanes of motor traffic. 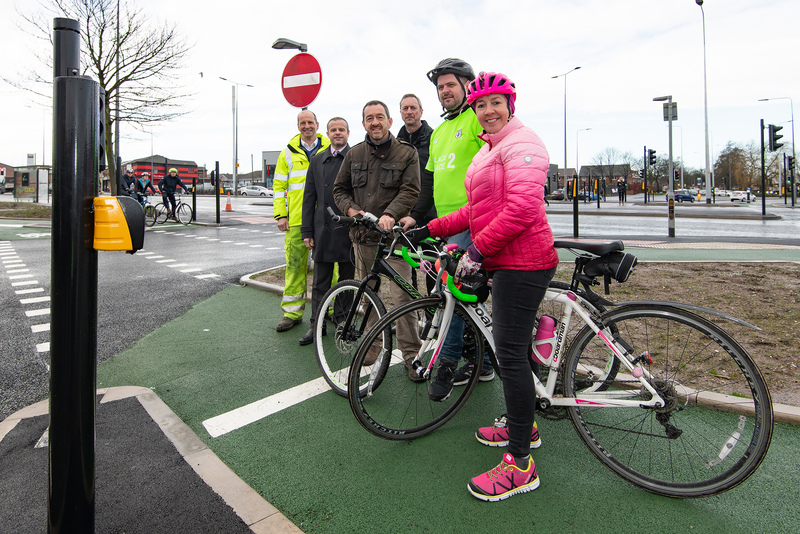 The new £2.1m scheme, which has been delivered by Wigan Council, is part of the Cycle City programme led by Transport for Greater Manchester with Department for Transport funding. The new routes provide safer and more convenient cycling and walking facilities to and through Saddle junction, linking Marsh Green, Kitt Green and Newtown with Robin Park and Wigan town centre. They have been designed to appeal to people who wouldn’t previously have considered cycling locally.